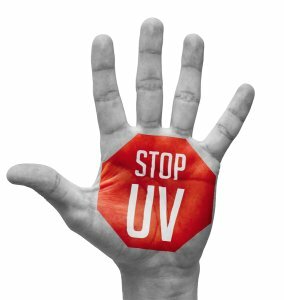 In recognition of UV Awareness Month this May, take a few minutes to learn about the damaging effects of ultraviolet radiation on your eye health. Excessive exposure to sunlight can cause both short-term and long-term problems, which is why a critical part of your eye care routine should be to wear UV-blocking sunglasses outdoors. If you wear corrective lenses, you can talk to your ophthalmologist near Chicago about getting prescription sunglasses. Your ophthalmologist can also give you some tips for preventing damage due to UV exposure. Photokeratitis is one of the short-term problems that can occur with excessive UV exposure. This condition is often compared to being similar to sunburn of the eyes. The symptoms of photokeratitis can include a gritty feeling in the eyes, excessive tearing, red eyes, and sensitivity to light. Usually, photokeratitis is temporary. Individuals who spend a great deal of time outdoors without proper protection for their eyes may develop growths on the eye. An ophthalmologist will diagnose a patient with pinguecula if he or she has a bump or patch near the cornea. This patch appears yellowish. It develops due to tissue changes, such as the accumulation of calcium, fat, and protein. It is believed that this growth is linked to excessive UV exposure. Often, individuals with pinguecula will develop a pterygium, which is fleshy tissue that begins to develop on the white of the eye and can gradually spread to the cornea. A pterygium can become large enough to cause vision impairment. With excessive UV exposure, individuals may have a higher risk of developing cataracts . Cataracts are areas of cloudiness on the lens of the eye. They interfere with the ability of the lens to focus light on the retina properly. Subsequently, vision becomes dim, blurry, or cloudy. Cataracts gradually become worse over time. By visiting an ophthalmologist for annual eye exams, patients can facilitate the early detection of cataracts. Fortunately, this serious vision problem is treatable with cataract surgery.